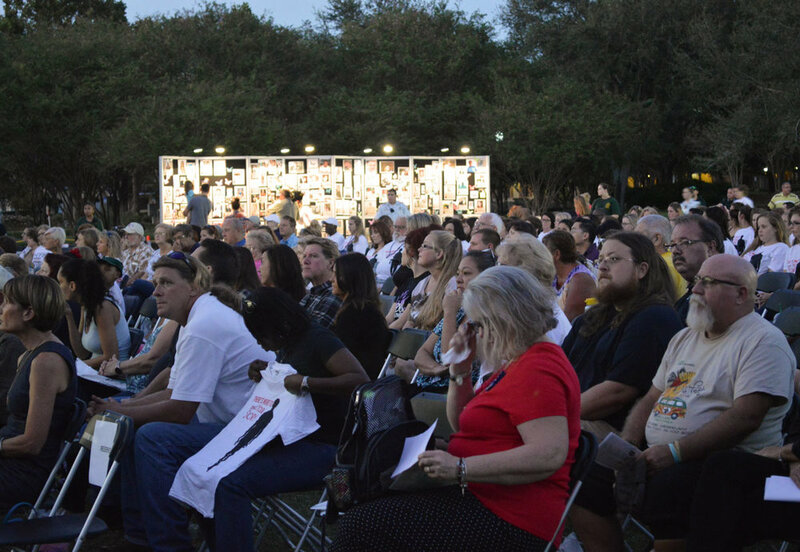 Every year in October, the NOPE Pinellas Candlelight Vigil brings the community together to remember those lost to and suffering from substance abuse. 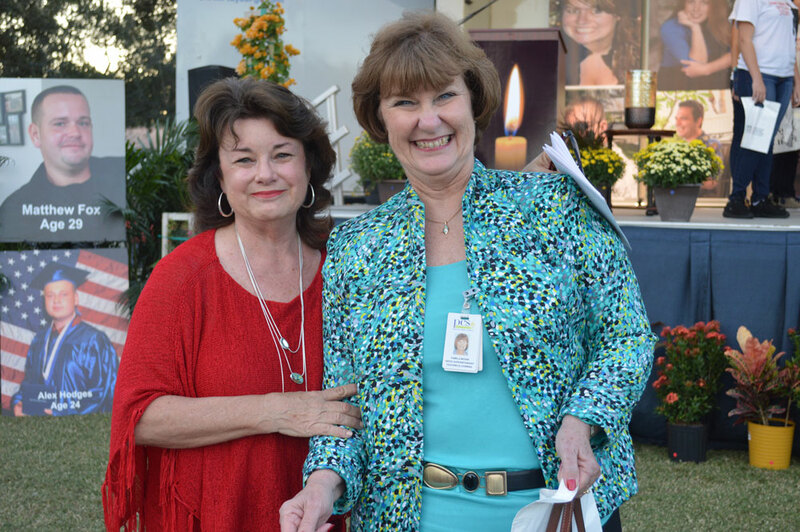 This year marks the 10th annual candlelight vigil here in our community. We hold the annual vigil to reduce the stigma surrounding addiction so that those suffering with the disease will openly seek help. It is a time for hope and comfort, to know that you are not alone. 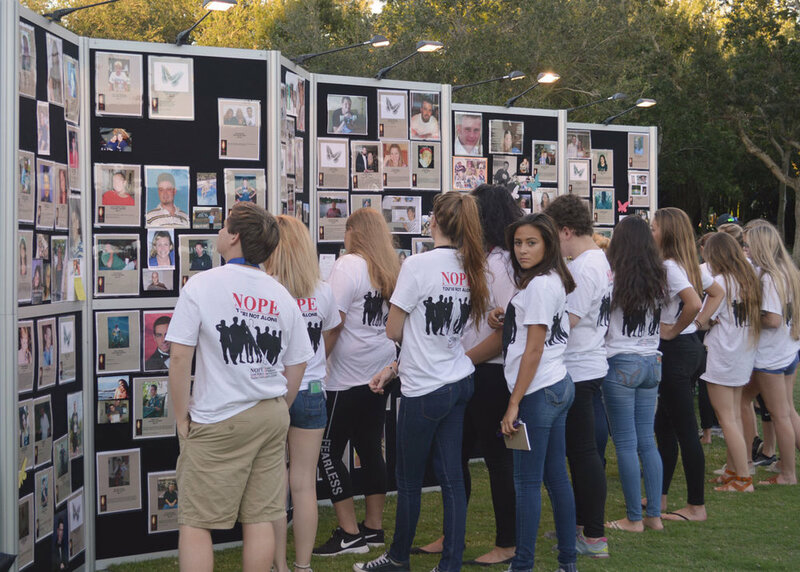 The Memory Wall serves as a memorial where attendees may hang a photo of someone lost to an overdose or other addiction. The placement of messages and notes helps to lift our hearts in memory of our loved ones. The wall is a space to pause in silence as we remember those who no longer struggle with their addiction. The vigil program includes inspirational messages from local leaders and performances by local high school chorus. The night closes with a keynote speaker and the lighting of candles. The vigil is open to anyone and everyone in the Tampa Bay area. We encourage families and high school students to attend. "The vigil has allowed me to remember my son in a place surrounded by others who understand. I’m not judged by my son’s passing and I find comfort being around so many people in our community who care. May we send you a reminder to attend the candlelight vigil? Sign up to receive updates about the vigil and other local NOPE events. The NOPE of Pinellas annual Candlelight Vigil is held annually on the third Thursday of October.